You will be able to create hand grenades and assault rifles! Each item in your inventory will inflict your opponent really serious damage! This modification is very useful and effective! 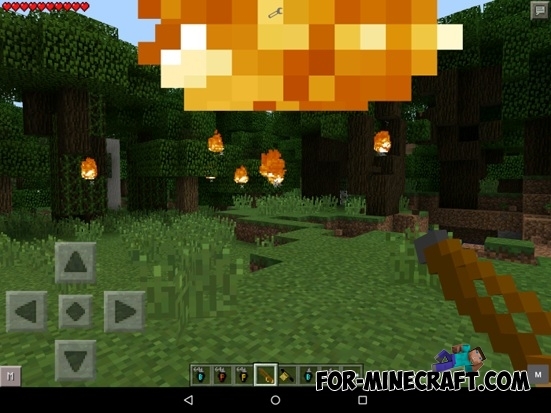 Battlefield Gear Mod for Minecraft PE 0.10.5Battlefield Gear adds new weapons to help you in the battle against the hostile mobs in the world of Minecraft Pocket Edition.